Tetra Pak is the world leader in processing and packaging solutions for food. In 2010, 70 billion gallons of liquid products were packaged in Tetra Pak representing a production of 158 billion units of packaging. The company has approximately 22,000 employees and operations in over 170 countries. Tetra Pak Sweden has about 4,000 employees. In Lund, employs around 3500 people. Tetra Pak’s net sales in 2010 was € 9.98 billion. Bio-plastics are plastics that originate from bio-based raw materials, or that have characteristics that make them biodegradable. Bio-plastics can be environmentally beneficial in several ways. According to the European Bio-plastics organization, the global production of bio-plastics will more than double by 2015, from 700,000 tons in 2010 to 1.7 million tons by 2015. The trend is clear: more biodegradable plastics are being used and more plastics are being made from bio-based materials. Europe is the world’s largest market for bio-plastics and is a leader in research and development. Bio-plastic production though is increasing the most in Asia and South America. 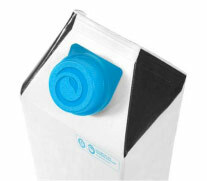 Swedish packaging company Tetra Pak is using bio-plastics from Brazil in screw caps for milk cartons. For two of its popular and recently launched brands in Brazil for Nestle milk cartons, Tetra Pak used screw caps made of bio-plastic. It is the first time that plant-based polyethylene is used in packaging. Currently, the average percentage of renewable materials in Tetra Pak’s packaging offering is about 73 percent. And wood is an important raw material. “Bio-plastic is the next step in our journey towards renewable raw materials,” says Dennis Jönsson, Tetra Pak CEO. 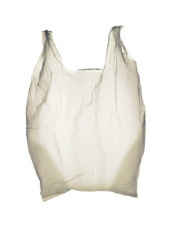 Bio-plastics, a form of high-density polyethylene (HDPE), consist primarily of raw cane sugar. Braskem SA, Brazil’s largest petrochemical concern, developed the process. Polyethylene molecules are produced by ethanol that is derived from sugar cane. Ethylene is subsequently polymerized into polyethylene that is used to manufacture screw caps for milk packaging. 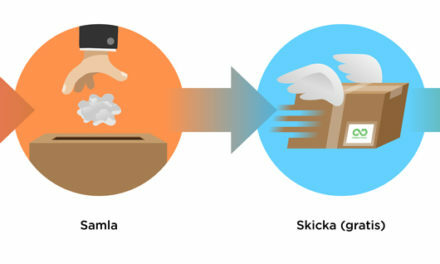 The resulting bio-plastic has the same characteristics of plastics made from fossil fuels but the environmental and climate impact is lower. Bio-plastics are produced in a full-scale factory that Braskem erected in southern Brazil. Deliveries to Tetra Pak, of around 5,000 tons per year, began in 2011. This represents about five percent of Tetra Pak’s annual plastics consumption for screw caps and less than one percent of its total plastic consumption. “This is Tetra Pak’s first launch with renewable plastics. As other renewable resources become available in Europe, we look forward to using those in manufacturing,” says Jonny Olsson, CEO of Tetra Pak in the Nordic countries.